As I promised myself last week, I paid better attention to form and technique this time. Who knew that when doing push ups on your knees your feet need to be raised? Big difference! I kept many of the weights the same (or lower) than last week but I felt I was getting better results. I did a better job with push ups, deeper into the routine. I was even able to do 4 legitimate Clap Push Ups (vs 20 done incorrectly on my knees last week). Four was my limit. I know Tony says that “too many people stop way before the should,” but I would have broken my face if I tried five. 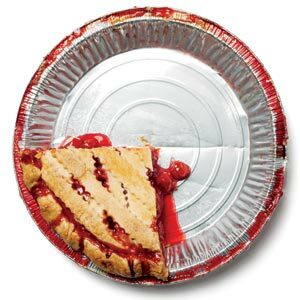 Tip of the Day: When doing the Floor Fly Push Ups–if you’re using a pie plate for the slide, finish all the pie before starting. Otherwise, you’ll just get pie all over your hand. Got ARX done as well. Man, I’m starting to have a negative physical reaction as soon as I start hearing the background music for Ab Ripper X. This entry was posted in P90X, Round 1 and tagged Ab Ripper X, Chest Shoulders & Triceps, P90X, Push Ups, Tips, Tony Horton, Tonyisms. Bookmark the permalink.